John F. Teufert is a Principal Scientist in the Joint Intelligence Surveillance and Reconnaissance (JISR) Service Line at the NATO Communications and Information Agency (NCI Agency) in The Hague, The Netherlands. He also serves as the Agency’s Geo-Officer as well as the JISR SL Geospatial Branch Head, leading a team of first class geospatial engineers and overseeing a substantial portfolio of geospatial projects. The geospatial portfolio touches most of NCI Agency’s customer bases and most significant contributions have been made to NATO operations. Furthermore, he is also responsible to provide guidance on geospatial aspects to a large variety of other NCIA projects and programs, when needed. As the senior geospatial expert of NCIA his daily business includes personnel management, portfolio monitoring and execution, customer interactions, development of business plans, business development and last but not least to maintain a team of well trained and motivated experts. He grew the geospatial support portfolio from a 2 man team in 2003 to about 10 staff members and a dozen contractors in 2016. John F. Teufert received the NATO meritorious service medal in 2014 as well as the NATO non article 5 medals for his support to the Balkans and ISAF (Afghanistan) missions. In 2009, he was selected by the Office of the US Secretary of Defence as the JCTD transition manager of the year and in 2009 he won the USGIF Geospatial Intelligence Award in the category “military”. Prior to joining NATO, John F. Teufert spent several years with the Western European Union and the European Union as a researcher and operator in the fields of crisis response mapping and Imagery Intelligence. John F. Teufert has been promoted to Colonel of the German Armed Forces (Res) in 2016. 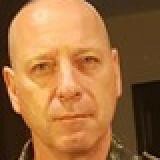 He has been assigned as the commander of the Multinational Geospatial Support Group, a NATO SMART defence initiative which provides exclusive support to NATO and EU lead operations. Once a year John is serving in uniform in this function. This assignment is a perfect match between his Agency duties and his military service and provides great synergies both ways.